Auslogics BoostSpeed allows you to modify Windows settings and services to improve system performance. It's designed to help increase startup and shutdown speed, disable annoying CD autoruns and unwanted error reporting features. Auslogics BoostSpeed can also automatically inform you if your system needs a tune-up or advise you on what needs doing. 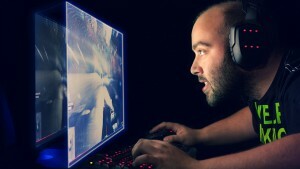 You also have the possibility of turning on several Live Speedup tools that will defragment drives and prioritize resources in real time, as well as scheduling regular maintenance for hands-off optimization.Auslogics BoostSpeed will help you adjust your PC for faster images, music and software downloads, increase browsing speeds and ensure more reliable Internet connections. The latest Auslogics BoostSpeed version also includes Windows Slimmer, which helps size down your Windows, especially versions 8 and 10 that usually come with a lot of unneeded features or preinstalled demo content. Besides all of that, the program offers the standard set of features that a decent cleaner such as CCleaner offers to wipe temporary files off your hard drive. You will notice some initial speed improvements after using Auslogics BoostSpeed's main scan and repair functionality, but for the best effect, you may need to run several of the additional tools ( there are currently 18 of them available ). - Added brand-new Windows Slimmer tool to help reduce the size of unneeded system "filling" and save extra disk space. - Implemented multiple usability improvements to make the software even more intuitive and convenient to use. - Made multiple changes to ensure compatibility with the latest OS versions and major programs. 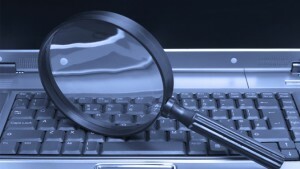 Discover and fix what makes your PC slow! 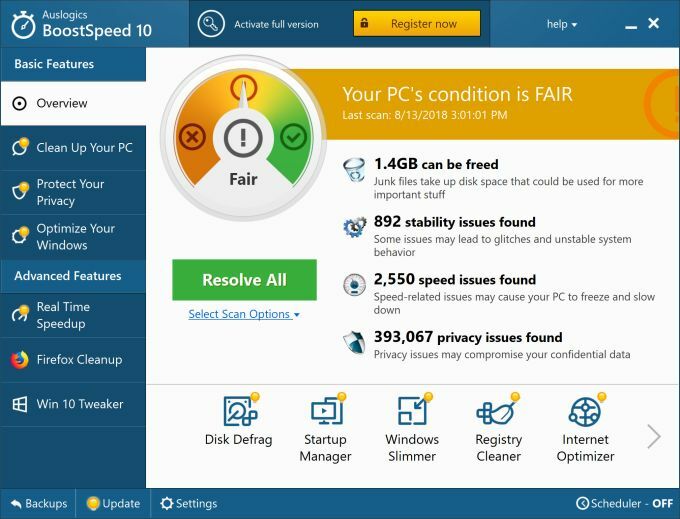 With over 15 million downloads worldwide and 10 years on the market, BoostSpeed is a reliable and comprehensive toolkit that cleans, tweaks, speeds up, and optimizes Windows computers from XP to Windows 10. The program is designed to be easily used by novices while offering advanced functionality to PC experts. BoostSpeed includes tools to protect privacy, recover accidentally deleted files, remove file duplicates to free up disk space, speed up Internet connection, manage browser extensions and cache, clean out demo content and unneeded system components, manage tyhe use of system resources and defragment drives in real time, and a lot more. With the custom maintenance scheduling, users can keep their computers running great without putting in any effort at all. - Interface changes implemented to fully satisfy AppEsteem's requirements for clean software: BoostSpeed has been certified by AppEsteem as totally clean. What do you think about Auslogics BoostSpeed 10? Do you recommend it? Why?